The Knowle is an absolutely charming detached period cottage which has been lovingly updated by the current owners. 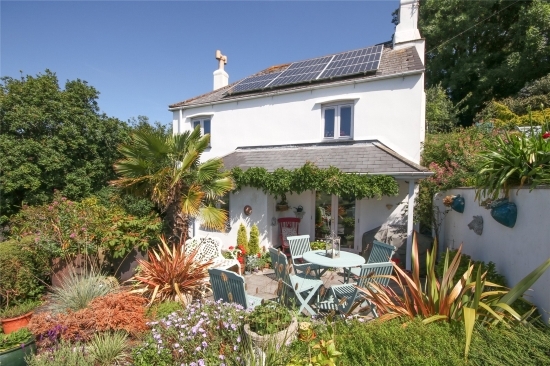 Sitting in an elevated position with exceptional south-facing views across the village of West Charleton to the Salcombe Estuary, the cottage has a fantastic open-plan dining and sitting area with wood burning stove and double doors out to the garden. The contemporary kitchen with Range cooker is incredibly chic. Upstairs are three bedrooms with the master being en-suite, together with a family bathroom. All-in-all the cottage has been updated to a very high standard. Outside there is a beautifully planted patio and pretty cottage garden, together with parking for several cars. The Knowle is offered to the market with a guide price of £475,000. For further information please contact Marchand Petit’s Kingsbridge office on 01548 855593.